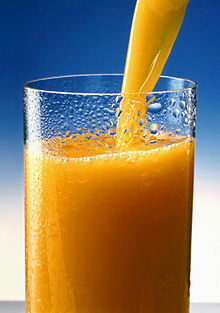 (uncountable) Juice is the liquid that you get when you squeeze a fruit or vegetable. I usually have orange juice and toast for breakfast. (transitive) If you juice a fruit or a vegetable, you get the juice out of it. I had to juice five oranges just to get one glass of juice.